Run!!!! 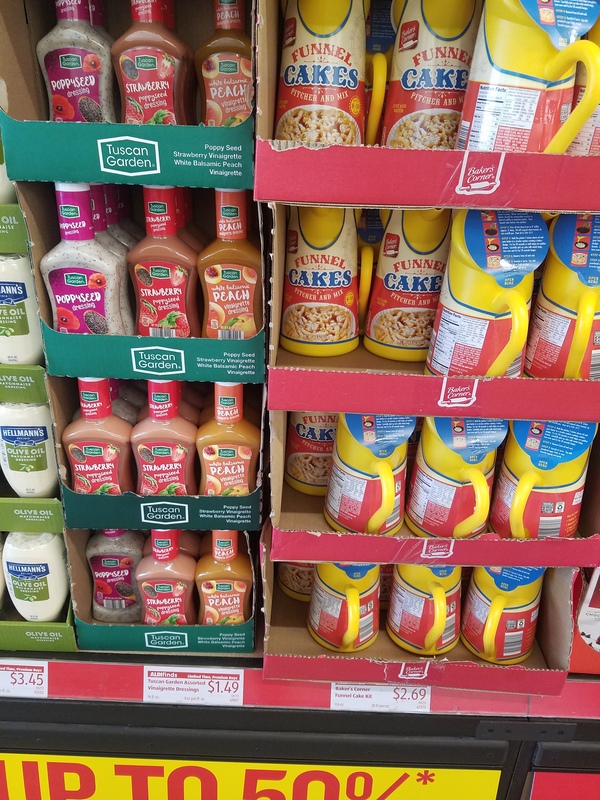 Baby Alive deal at Target today only 11/8/18! 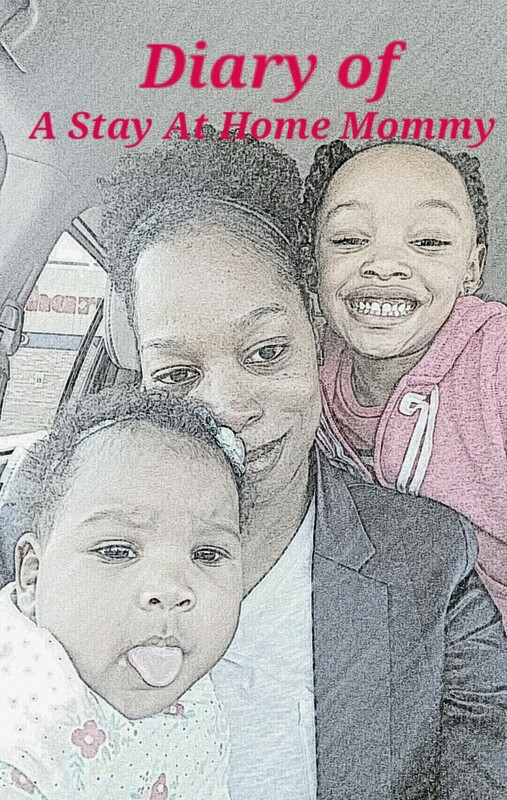 Good morning mommies and friends! If Baby Alive is on your Christmas list, today is the day to buy it! Baby Alive is the deal of the day on the Target Cartwheel app. If you don’t already have the Cartwheel app, you should. It will save you so much money! 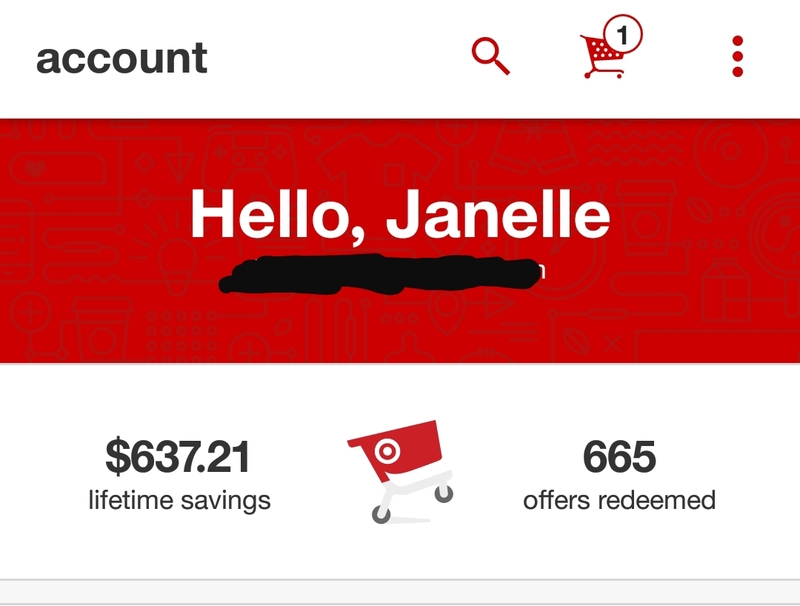 My savings since I downloaded the app some years back is over $600. 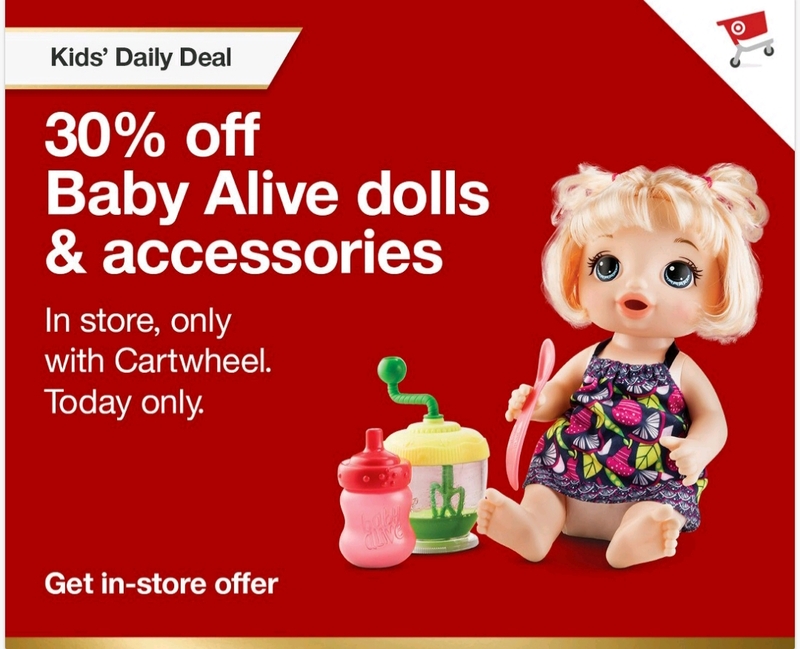 Today, you can save 30% off Baby Alive dolls in-store, plus you can use the 25% off one toy coupon. If you don’t have it, you can text TOYS to Target (827438). It expires on the 10th of this month, so you only have a couple of more days to use it. Also, if you have the Target toy book that was mailed last month, there’s a coupon for a $10 gift card if you spend $40 or more on toys. It’s no secret that I am a new fan of Aldi. Why? Because as a stay-at-home mommy, I like to save my family as much money as possible. Aldi helps me achieve this goal by saving me money on groceries without having to clip coupons or search for which store has what on sale each week. I’m excited to share with you some of the awesome deals I found yesterday. 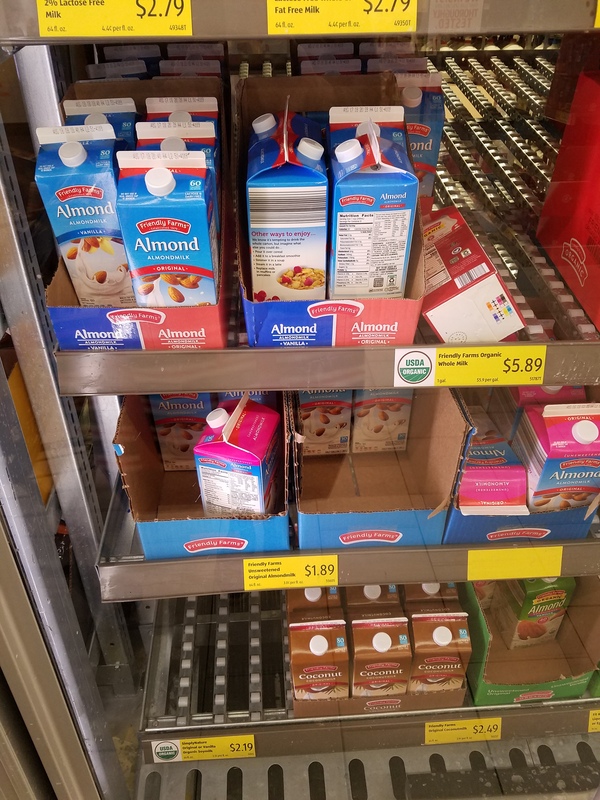 If you follow me on Facebook, you know I recently posted about Aldi’s brand almond milk and how much I like it. This is now on my weekly list of things to buy. It tastes great and is more affordable than the name brand sold at other stores. I’m excited to try this new salad dressing. I’m pretty sure this is a seasonal item. So if I like it, I will be sure to stock up. And I don’t know about you, but I love funnel cakes. It’s one of those things I usually only get at an amusement park during the summer. I plan to grab some mix on my next trip. It would be a fun activity to do with the kids. 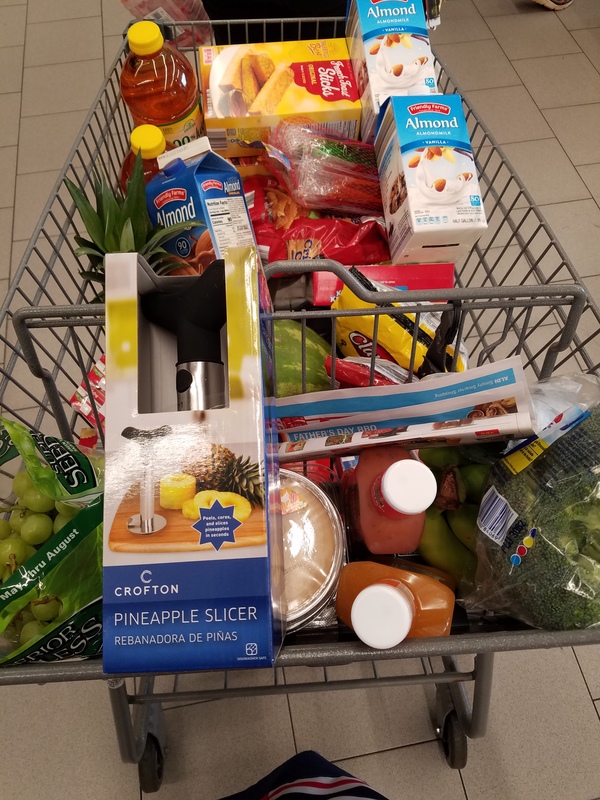 Pineapples are on sale for $1.29 this week at Aldi. 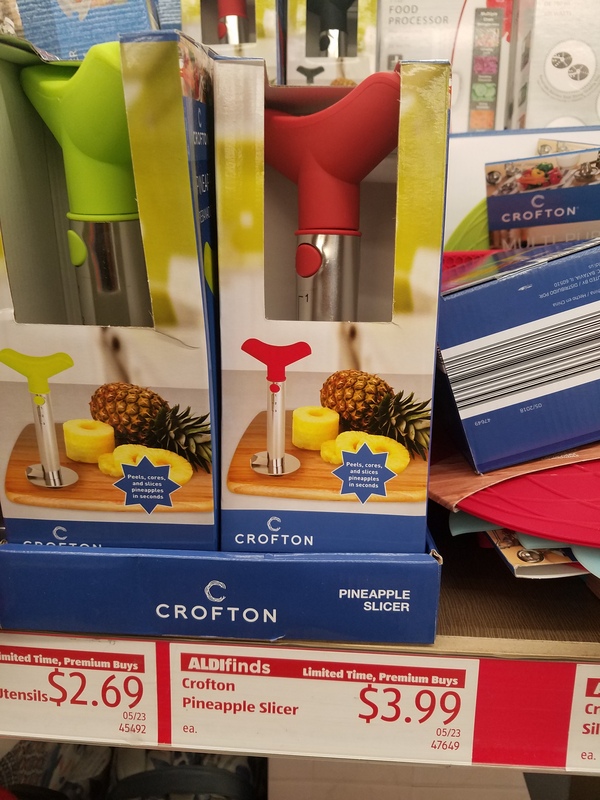 I am so glad I came across this pineapple slicer. I always tend to butcher my pineapples, so for $3.99, I had to purchase one. They come in green, red and black colors at my location. This is indeed a red hot special! Two seamless sports bras for $8.99! Another find that is right on time. 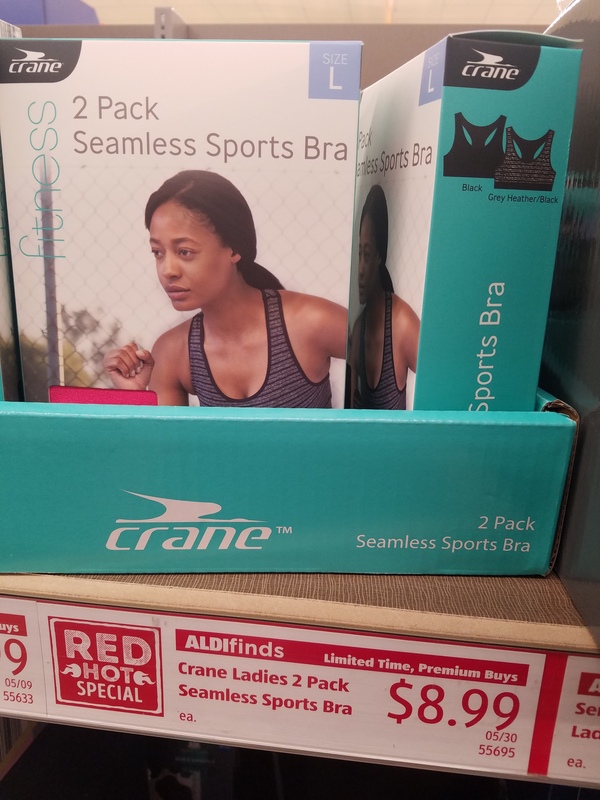 I don’t know where you can find a better deal on sports bras. 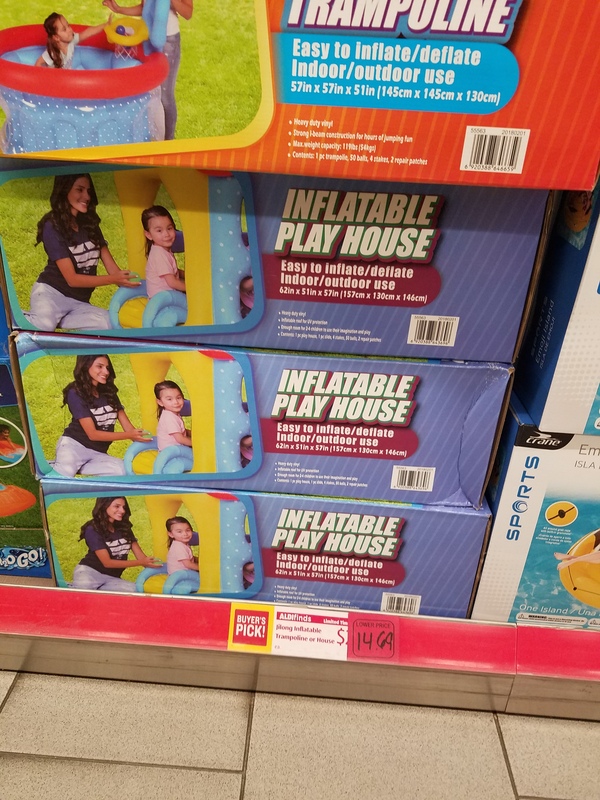 This inflatable play house or trampoline is a clearance item at my store. I think the original price was $30. It was $20 last week. If it goes down to $10, I will grab it for the kiddies. So be sure to check your local Aldi store for clearanced items. 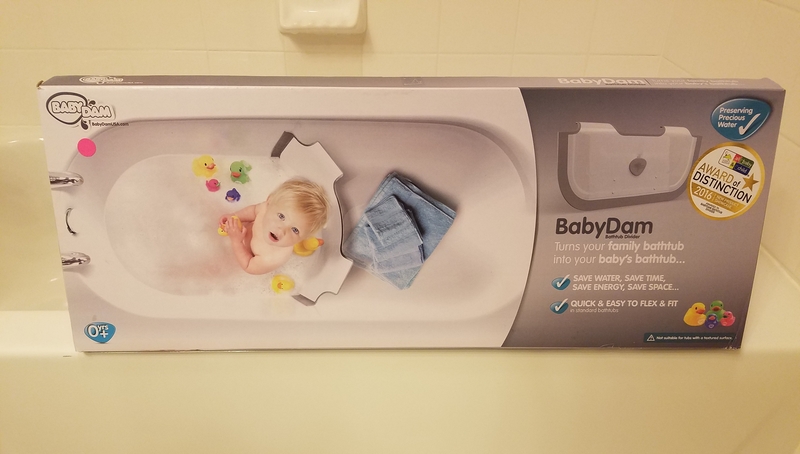 I was given the Babydam in exchange for an honest review. 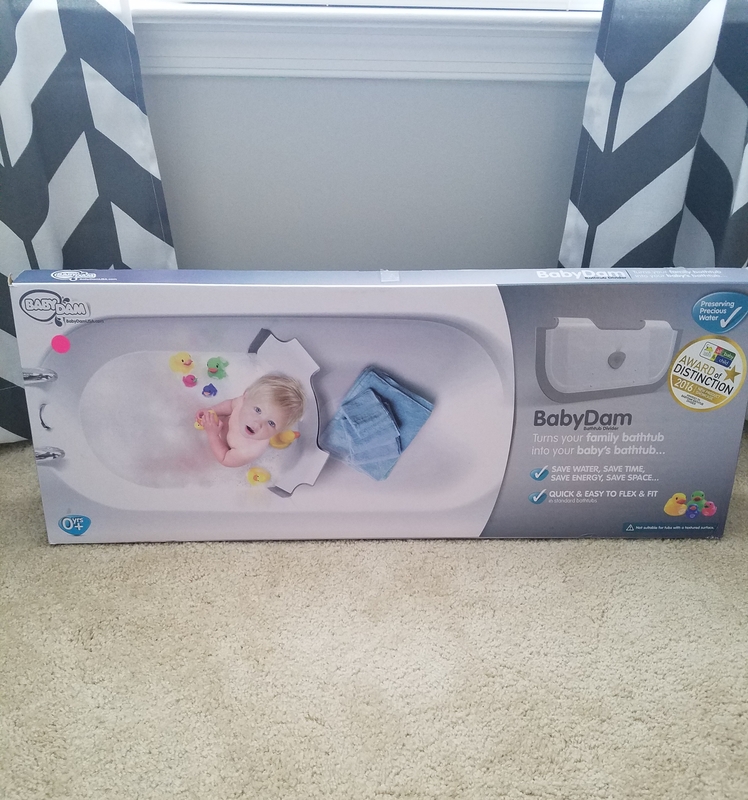 I used the Babydam for the first time over the weekend and LOVED it! 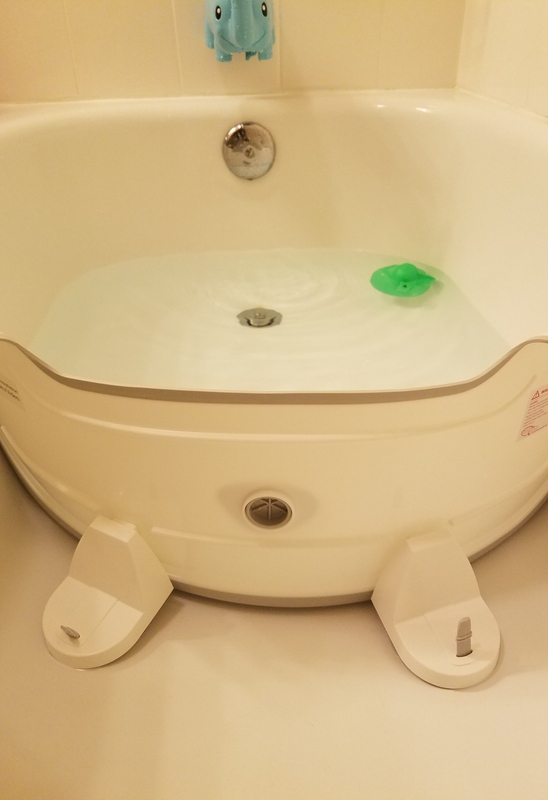 I recently decided the baby bathtub I was using for my toddlers was too small and wanted to transition them to the big bathtub. 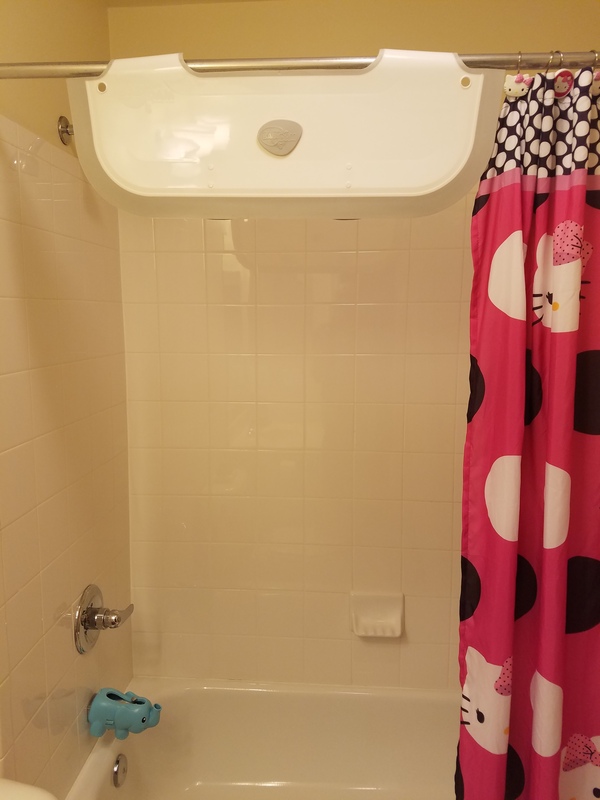 I felt uncomfortable with my little ones having so much extra space in the tub. The Babydam eliminated those concerns. I like that I don’t have to fill up my whole bathtub anymore. Filling up a smaller area saves much more time. 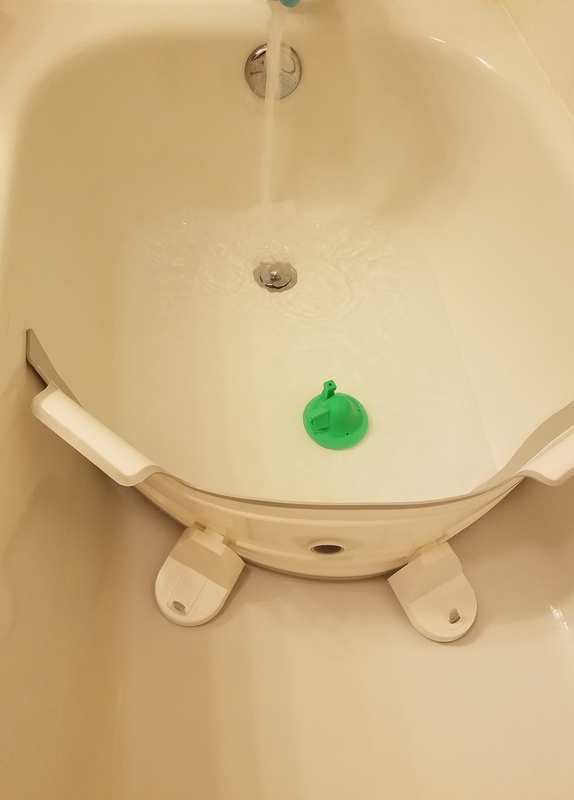 I also like that the design of the Babydam allows me to easily store when not in use. 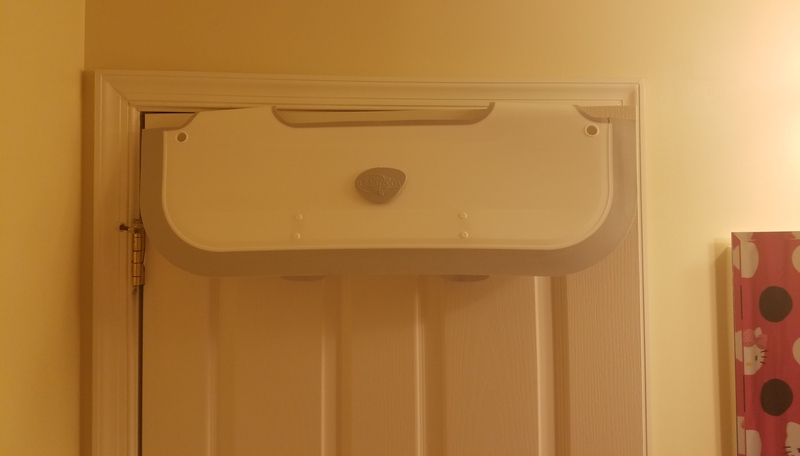 I hung mine on the shower curtain rod but you can also hang it on the bathroom door. After countless hours of searching online and in stores for the perfect fall wreath, I decided to make my own. The best thing about making your own wreath is you can make it exactly the way YOU want it to look. I knew I wanted a rustic look with red and orange flowers. So that was a start for me. I decided to go to Michael’s Arts and Crafts store when they were having a sale to purchase all my materials. I picked up a grapevine wreath (the rustic look I was going for), flowers, burlap ribbon (for the bow) and a few other things I thought might look good on the wreath. My total was under $20 (I used coupons to keep it under $20). You don’t have to be crafty to make this simple piece. Just arrange the flowers and other decorations where you want to place them on the wreath so you can get an idea of how ot will look. When you are satisfied with the placement of everything, hot glue them down. I had to go to YouTube for a quick bow making tutorial but other than that, it was easy peasy. I hope this post inspires you to do it yourself. Happy Fall! The Chick-fil-A Mom Panel members were given a challenge to upcycle their chicken tortilla soup containers. I don’t consider myself to be very “crafty” so this was indeed a challenge for me. I decided to go to a few stores for inspiration and settled on making an Easter basket since Easter was the common theme amongst all the stores I visited. The Easter basket was super easy to make needing minimal supplies. Here’s what I used. Step 1: Make your handle. Cut a piece of ribbon to your desired length. Add a little hot glue to each end of the ribbon and attach to the container. Step 2: Decorate the outside of your basket with more ribbon or stickers. Step 3: Add the eggs and grass to your basket. Simple as that and you’re done! Enjoy! Chick-fil-A recently added some new items to their menu, which meant some of their older items had to go. One of the items that got the boot was my beloved Asian chicken salad. It was my favorite salad on the menu. When I heard it was being replaced with a Spicy Southwest salad, I didn’t get excited at all because I usually don’t eat spicy food very often. Too many spices usually upsets my tummy. For this reason, I didn’t think I wouldn’t eat a spicy salad as often as I ate the Asian salad. Members on the Chick-fil-A moms panel received a nice Mother’s Day gift that included a free offer card for the new salad. It was my chance to try this new salad risk free, and so I did. I have to say, I was pleasantly surprised by the flavors. It wasn’t too bold, just the right amount of spice and it didn’t hurt my tummy. I tried it with the creamy salsa dressing but I didn’t use the pepitas or seasoned tortilla strips packs that came in the bag. It was delicious! I liked this new salad so much I went back the next day to buy another one. Again, no tummy ache. I’m pretty sure I’ve had this salad at least seven times since Mother’s Day and still no tummy aches. So I guess it’s safe to say this is my new favorite salad at Chick-fil-A. Now here’s the fun part. After trying the new salad, I was asked to take the empty salad bowl and lid and turn it into something. A DIY (do it yourself) upcycling challenge. I don’t consider myself to be very creative in that area so this was definitely a challenge for me. However, my soon to be six year old daughter is very creative and enjoys making things. I told her about my challenge and she suggested we make a new playhouse for her Doc McStuffins doll. She thought the container would make the perfect roof. She was right! We made the house together using cardboard, wrapping paper, scissors, tape, a permanent marker and the empty container. My munchkin and I had fun with this challenge. I will continue to save the containers and reuse them to store food, art supplies and anything else that comes to mind. So now I challenge you to get creative. Next time you have a salad at Chick-fil-A, save the container, get creative and upcycle it. TARGET GIFT CARD GIVEAWAY for my Facebook Fans!!!!!! Thank you for all your support! Now It’s Giveaway Time!!!! I am giving away one $25 Target gift card to one lucky Facebook fan. To enter, please go to http://www.facebook.com/diaryofastayathomemommy and like my page. Then like, share and comment on the giveaway post. The winner will be randomly drawn on Thursday, June 25, 2015. Thanks again and good luck!